Recently, we had a new member in da house! The children were so eager to play with it the moment I brought it home. We named it "Ah-Boo" (in dialect its also known as Mother). She is very pinky, hyper active, talkative and funny. The children had a blast interacting with their new pet. Thanks to the people from Hasbro, we received the latest Furby Boom which was introduced to the market in August this year. 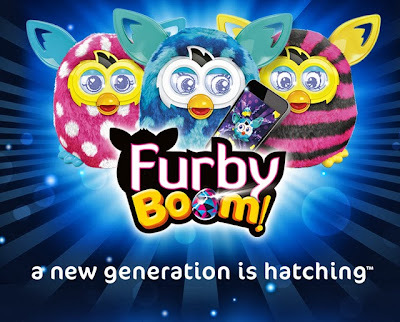 Furby was the hottest toy of 2012 and the new generation Furby Boom was introduced again in 2013. In case you don't know what is Furby Boom all about, it is actually an animatronic electronic pet that could resonate with people. Now we can even use the mobile or tablet devices to download the free FURBY BOOM app. Furby owners are able to hatch digital Furby babies caller FURBLINGs via the all-new app as they raise, care for and play games with their playmate. These Furbies are bilingual in English and Furbish and its very interesting to communicate with them in these two languages. Choosing a new name for our Furby. Our new "pet" who helps to keep the children entertained. They would pat, stroke and tickled it. 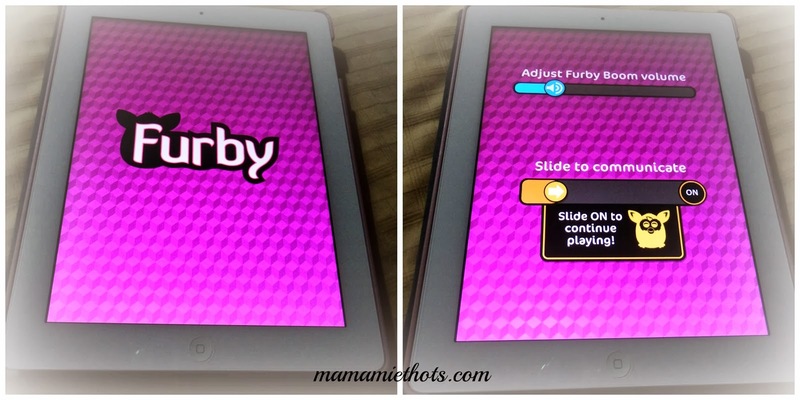 Furby is suitable for ages 6 years & up. It is retail at SGD$119.90 and available at Toy'R'Us, major department store at Metro, OG & Takashimaya and selected Electronic stores at EpiCentre, EpiLife, Nubox, IStudio, etc. 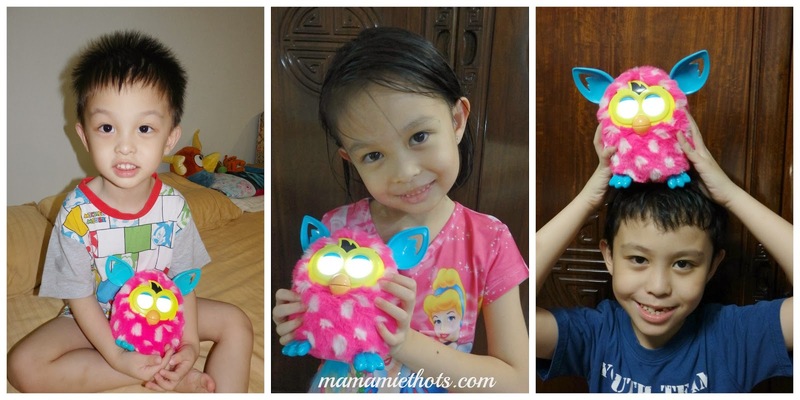 Disclaimer: I received a cute Furby Boom for review purpose, all opinions are my own.